Established in 2009, Diramayr Vocational School is a private licensed educational institution. 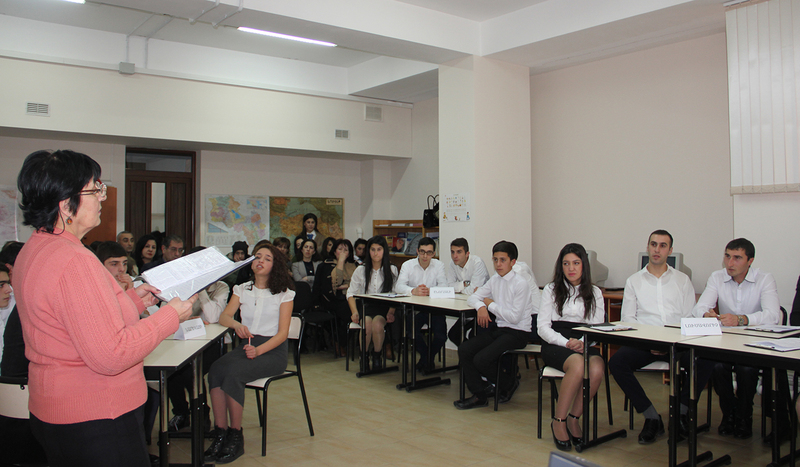 It is a two-year vocational school for students aged 15 and older. The School is fully- equipped, with a 400 seat auditorium, workshops, classrooms, a commercial bar/café, a culinary school kitchen and state of the art technology and tools. Courses are designed to meet local market demands, DVS educators are knowledgeable lecturers and expert crafts persons active in their fields. 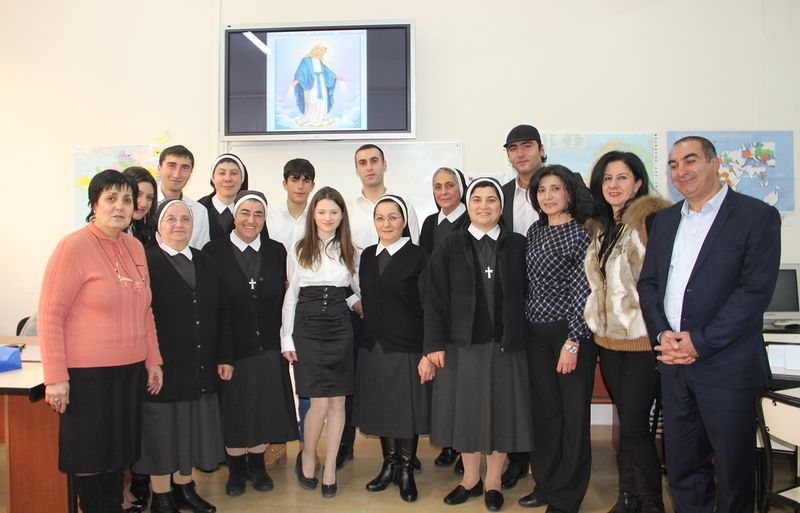 In addition to program specific technical training ail students must pass a rigorous curriculum of core courses in the following academic disciplines: Armenian (written and verbal), computer skills, ethics and civil education, mathematics, Russian, and English or French. To ensure that graduates are qualified and ready for work the DVS diploma requires successful completion of internships and / or community service prior to graduation. 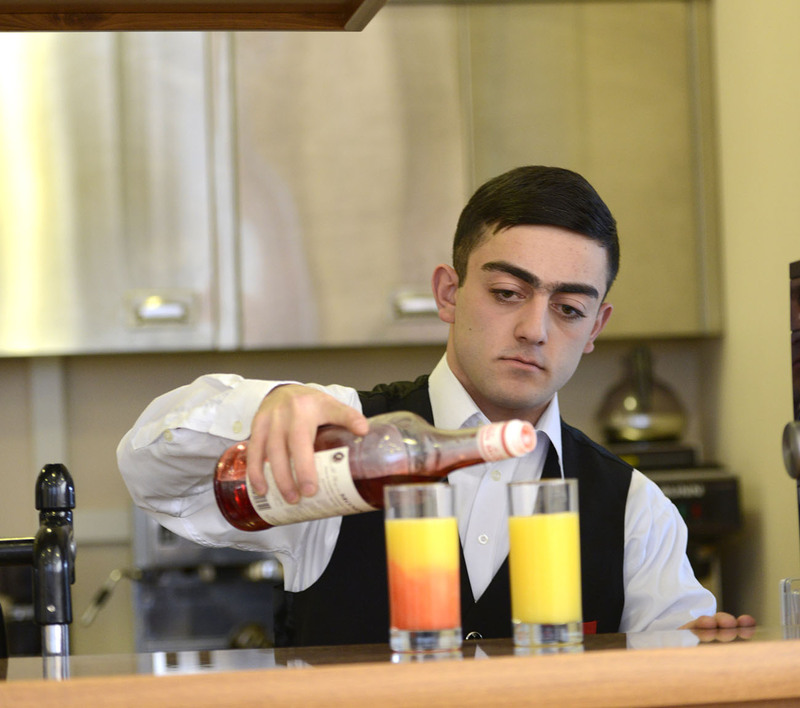 The School offers long- and short-term training courses in “Culinary Arts”, “Waiter/Waitress”, “Computer Operator and Hotel Front Desk Administrator”, “Electrician Program” and “Plumber program”. Click HERE to learn about students’ rules and regulations. All Diramayr Vocational School graduates will also receive the following Career Services: resume and cover letter review, informational interviews with local employers, and, a reference letter attesting to the candidate’s qualifications. 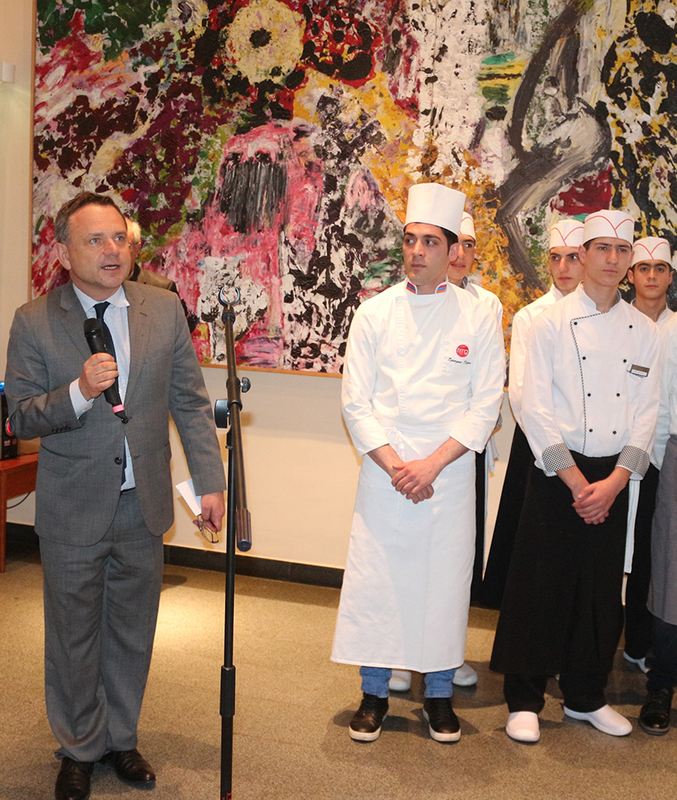 Every year, the students of the “Culinary Arts” department participated in the “Gout de France” competition organized by the French Embassy in Armenia. 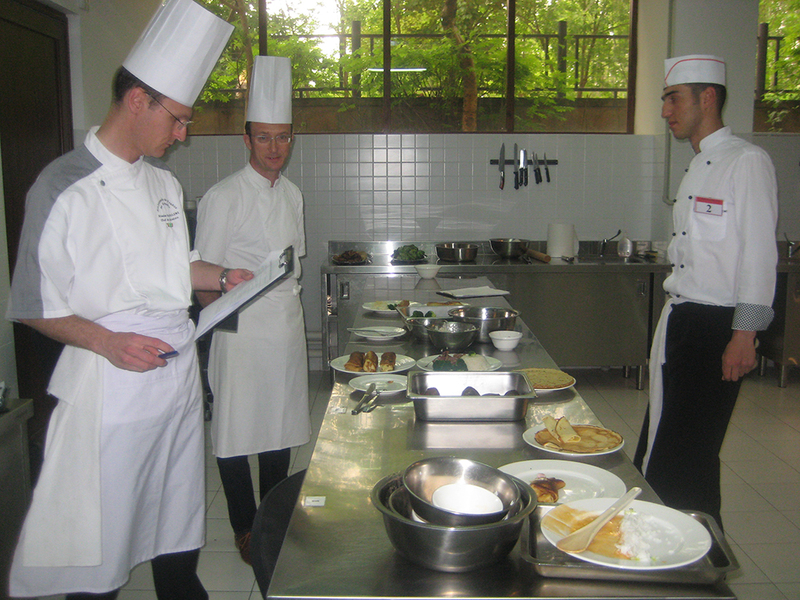 One of the specialists of “Culinary Arts” department won a special prize at the competition “Honoring the Art of the French Cuisine”. The practice restaurant is an integral part of the School life; benefactors, foreign tourists, different organization representatives are hosted. Many interesting events and performances were organized at the Theatre Hall of the Vocational School, such as the Concert by Russia’s Ossipov Folk Instruments National Academic Orchestra, jubilee concerts of the prominent composers Robert Amirkhanyan and Tigran Mansuryan. Another event is the presentation called “The Cry of the Soul”. The students of the Vocational School bring their active participation to the presentation of the Christmas Pageant; they also prepare the dinner for the Big Family Carnival.